Lunaria Dance Theatre performs cabaret style dance theatre with a twist of belly dance @ High Dive in Seattle! 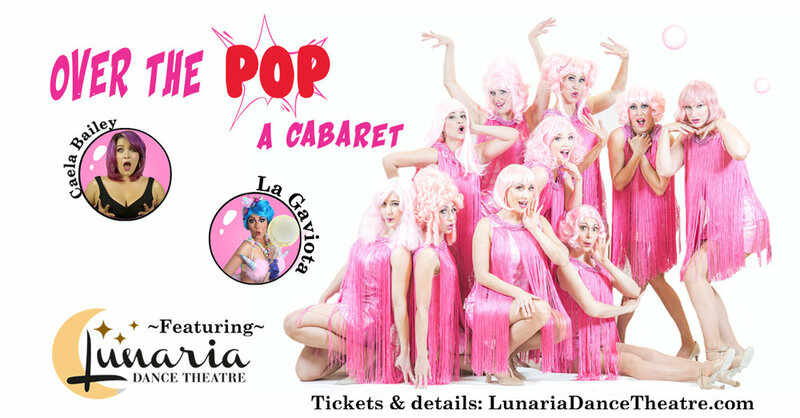 This one-of-a-kind cabaret will showcase Lunaria Dance Theatre, Seattle-based dance company, specializing in an innovative fusion of cabaret dance theatre and belly dance. Lunaria Dance Theater performs cabaret belly dance @Langston Hughes Performing Arts Institute in Luna of Cairo Show! Featuring Lunaria Dance Theatre and special guest, Mark Siano, a well-known favorite amoung Seattle's art scene and La Gaviota, actor, dancer, and draq queen extraordinaire. Lunaria Dance Theatre will be performing. Tickets are available at http://SmoothAsSilk.bpt.me $30 adv. $40 door.